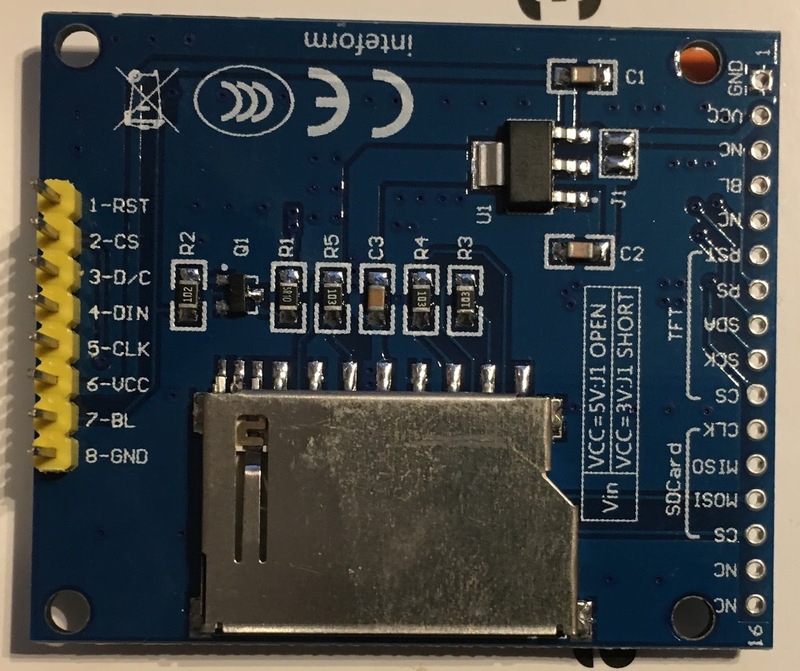 After successful connect the ESP8266 with the ST7735 display I want to do more than the demo - so here comes a Wifi Scanner. Same hardware setup as in the previous blog post. 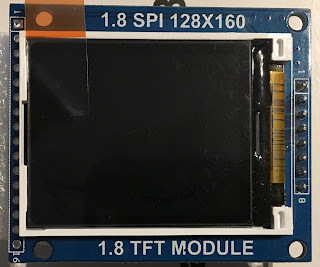 Some notes how to connect a "1.8 Inch TFT LCD Display Modul 128X160 SPI Serial ST7735B IC SD Card für Arduino" to a ESP8266 running with NodeMCU. 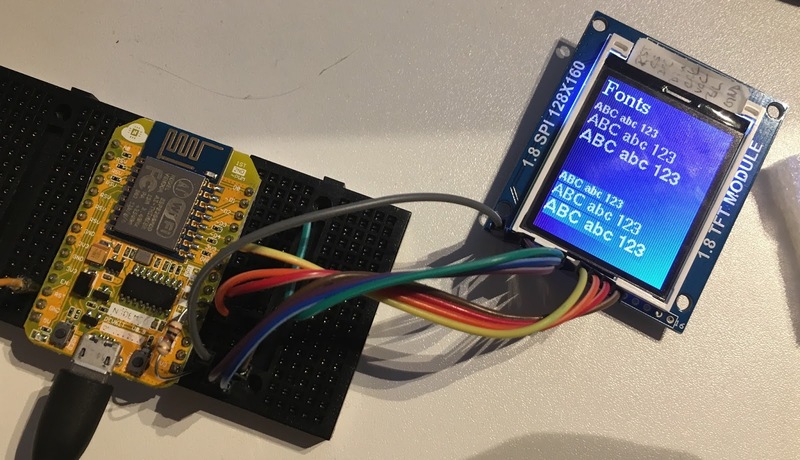 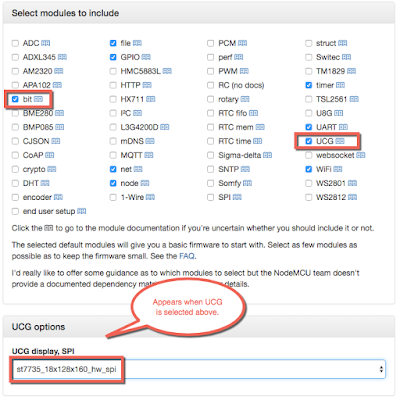 You need a NodeMCU firmware with (at least) the modules bit and UCG (with st7735 display option). The display has a 8-pin and 16-pin interface. 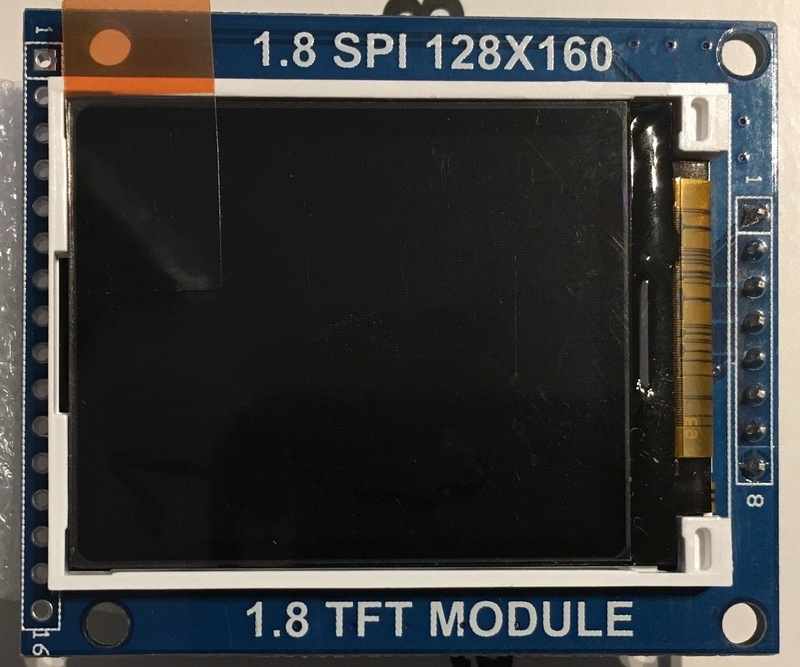 The TFT interface in both are the same. 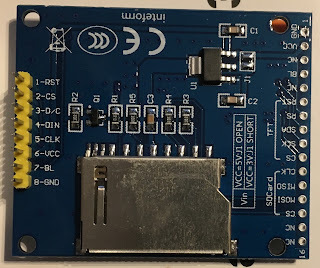 You can choose either of the two interfaces for wiring. 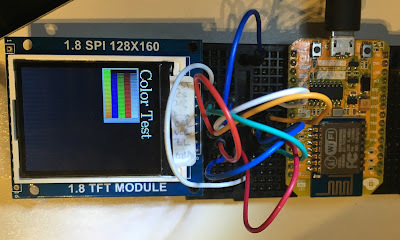 I use the GraphicsTest.lua to test the connection. GraphicsTest is part of the NodeMCU examples (you have to upload also all GT_*.lua files to run the test).